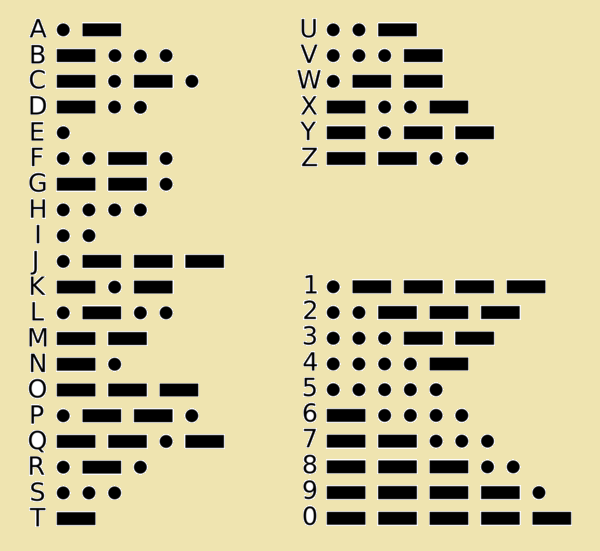 For you that are young or old who have an interest in Morse Code please enjoy. Jean Shepard on April 13, 1965 made a broadcast that will go down in history. This broadcast is called "Code School" and may be found on the Web by searching for his recording dated April 13, 1965. Let it bring back the fun and excitement of the art. Southcars started presenting an International Morse Code course in January of 2011. This course encompassed two classes per week for a period of four weeks. The intent of the course was to supply an easily understood method for those wishing to become Proficient in communicating via this mode. These courses continued for several years and remains posted on this website for newcomers to use as a self-study vehicle. In addition, our staff remains contactable to answer and questions that may be on you mind. If in need simply ask your questions via email using VOIP@SCARSVOIP.COM. Our instructors recommend using good practice techniques. -	Start by learning the alphabet five letters at a time. -	Start to use your new language by using a magazine or newspaper and transposing the written words into code verbally. -	While driving verbally say the license plate in front of you in code. -	Turn billboards and signs into code. -	Practice on a regular basis. Five or ten minutes a day is fine. -	Obtain and use a code oscillator and straight key for starters. -	Monitor CW frequencies, or code practice transmissions. -	PRACTICE, PRACTICE, AND PRACTICE!!!! The 2012 classes completed on August 14th. The upcoming class schedule for 2013 is shown below. Extra class 7-7-13 to 8-13-13. Audio recordings may be found on this website for all past class sessions. The SCARS Outreach International Morse Code Class was finished on Tuesday February the 21st. The next class for Morse Code is scheduled for the first quarter of 2013. This 2012 class was 25 enrollees strong, and fun was had by all. The KY6V CW ragchew node has been decommissioned, and will return at class time in 2013. Our next class will be the Technician license class scheduled to start on Sunday March 18th, and then will be followed with General and Extra courses. Enrollment to any of these classes may be made via email to VOIP@SCARSVOIP.COM. In this email please give us the course you wish to attend, your first name, call if you have one assigned, location, preferred email to be used, and a emergency contact telephone number. All courses and support material are entirely free. Hope to see you there from your SCARS Support Team. This posting would like to inform one and all that in addition to the Sunday and Tuesday classes a CW net on Mondays at 7 PM EST run by Bill W4DFP will be starting on the 30th. This net is being supplied independent of the class and is being made available for your use and enjoyment. This Monday net is not a requirement of the class, but we would hope you would become involved for not only the learning experience, but for the fun it offers. We strongly suggest that each of you get your code oscillators wired to the line in of your computer sound card. This would provide you with CW access when using EchoLink. The Monday code net will NOT be held on the *SCARS* server. We will be using the KY6V EchoLink node 23089 and it will be necessary for you to connect to that system direct when wishing to participate. The last International Morse Code class completed its sessions on Tuesday February the 22nd. We had 19 students in all, and a grand time was had. At the moment we do not see another class being held prior to the first quarter of 2012. Material from this class along with support recordings will remain posted on this website. The SCARS Outreach International Morse Code class finished its second session last evening. This course will continue to approximately February 22nd with two classes per week on Sunday and Tuesday evenings. We have a class size of 18 strong who are all dedicated to this learning challenge, and further we are having fun along with the learning experience. Should you desire any further information, please email our staff at VOIP@SOUTHCARS.COM. 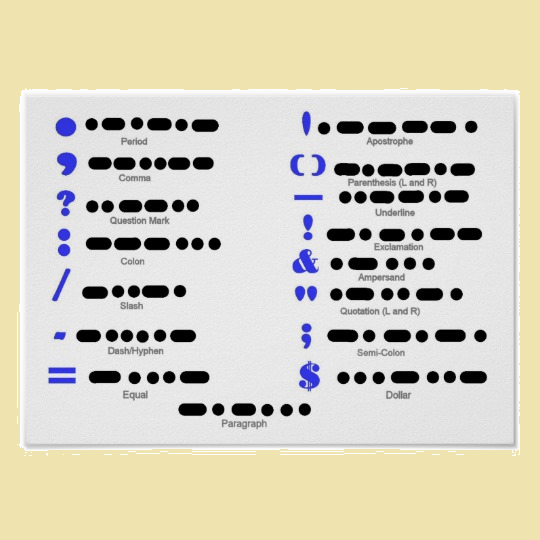 INFORMATION FOR THOSE INTERESTED: SCARS will be offering a Morse code class starting at the end of this month. A portion of the class syllabus is shown below. Class material will be posted on this website in the near future. PURPOSE: To provide class instruction relative to learning the fundamental aspects of a person’s ability to receive and transmit the International Morse code. WHERE: The *SCARS* server, EchoLink node 96140, or IRLP node 9614. Class material may be found on our website at WWW.SCARSVOIP.COM, and in specific our download section found on the homepage of this site. Additionally general information may be found in our Outreach Corner section in the lower right side of the sites home page. CLASS SCHEDULE: Two weekly one hour sessions conducted on Sunday and Tuesday at 7 PM EST (0000 Z) starting Sunday January 30th, and completing on Tuesday February 22nd. The first class and those to follow will employ techniques that will strive to impart comfortable ways of understanding, learning, mastering, and using the art of Morse code. We will be starting by learning the alphabet in groups of five letters at a time, will then progress to the numbers, and finally learn some of the commonly used punctuation and abbreviations. Please take note of the posted addendums to this syllabus which includes audio files, and written information that aids to this learning process.